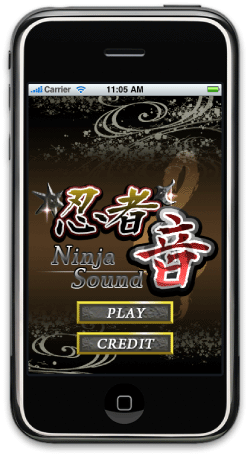 iPhone application “NINJA SOUND”. 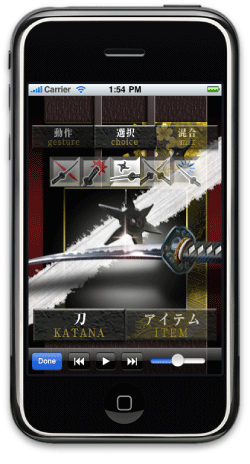 - AMUZENET, Inc.
◆ Ninja arts with your iPhone! Rip the night, there goes the bell! ・gesture： Shake your iPhone to sound the whizz and swish. 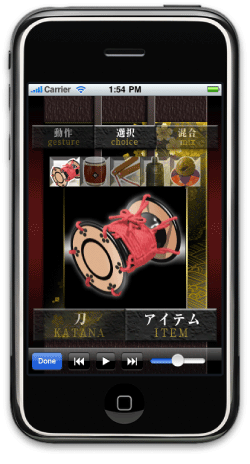 ・choice： Choose any sound you like, you can also play by touching with your fingers. ・MUSIC PLAYER： You can also play with any music from iPhone Library.